Each day, millions of seniors wake up in pain. From the aches of arthritis to the irritation of depending on others while bed bound and recovering from a fall – no matter what it is, pain and a loss of independence can cause a severe drop in the happiness of seniors. 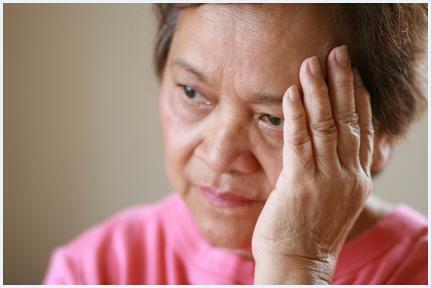 Now, researchers at the University of Pittsburgh Medical Center are conducting studies to help determine the cause of senior depression while simultaneously testing tools to help seniors better manage depression. According to Jordan Karp, who is the lead researcher on the project, “It’s a vicious cycle: Pain can make people feel helpless and hopeless, which leads to depression, which can lead to deconditioning, fatigue, worse sleep at night…” and leading all of these side effects to amplify the original issue. Estimates from the CDC show that approximately 5% of seniors living in community settings suffer from depression, with that number spiking to 25 to 30% of seniors who are hospitalized or residing in nursing homes. Taking those estimates into consideration, agencies providing in-home care to seniors using a home care software or home care system may be able to help reduce a senior’s risk of depression by keeping them in a familiar environment. The ongoing study with the University of Pittsburgh is a five year project that began in 2011. Currently, seniors are placed into one of three groups focused on teaching coping mechanisms to help reduce the chance of depression based on their specific life situation. One group is learning problem-solving therapy where they work to find solutions to problems within their lives – ranging from getting spouses to help around the house to finding ways to better engage in their own activities. This type of therapy, as more thoroughly explored, may be supported by the use of a home care software or home care system in the future as caregivers would be able to track problem solving activities with seniors via the home care software tracking tools. In the study, seniors with osteoarthritis are learning to better control their psychological response to physical pain, and re-direct attention away from frustrations with oft limited abilities. This method also shows promise to integrate with home care and a home care software or home care system like ClearCare Online, as senior mood could be easily communicated within the home care system. Thirdly, seniors with sleep issues are receiving assistance to better calm and prepare for rest within the study. As the University of Pittsburgh’s study continues over the coming years and the elder care community is better prepared to help seniors address risk factors for depression, caregivers and family members armed with a home care software or home care system, such as ClearCare Online will likely play a key role in senior wellbeing – and here at ClearCare Online, we look forward to being a part of that process. To learn more about the study, read the full article from Kaiser Health News here.